Do you want to go off the beaten track? Discover the real Rotterdam? 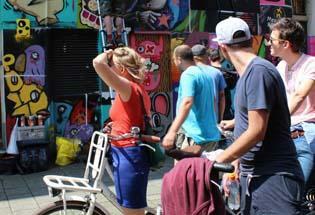 Join our alternative Rotterdam Wild West Bike Tour. Street art, multicultural neighborhoods, autonomous art & design projects, hidden architectural treasures, urban farms, local initiatives. Explore the real local life. 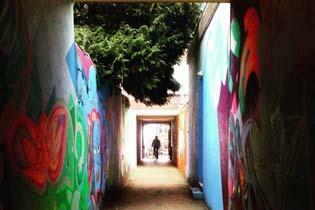 In the Rotterdam Wild West Bike Tour you will explore Rotterdam West, a neighbourhood full of contrast that's fantastic to explore. A place where rastafari dreads meet hipster buns. With massive mosques and ancient churches. Where poetry meets poverty. 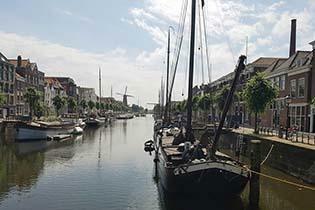 Where in the middle of multicultural Rotterdam you will find the picturesque medieval gem Delfshaven. It’s a treasure box filled with sizzling stories of culture, compassion and crime. This is the real Rotterdam. It’s diverse, worldly and rough. The people make and own this neighborhood. Ugly and beautiful. Rich and poor. Rough and soft. It has it all, and we love it! We will cycle through the neighborhood and stop at different interesting places. 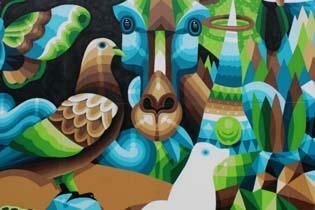 See a lot of street art, and many different urban landscapes. We will visit a former warehouse now filled with ateliers of young entrepreneurs in the maker-industry. Get energized with a slow coffee at the fantastic social business the Heilige Rotterdamse Boontjes and explore hidden architectural gems. Too much to share with you in this short text. Just join this tour and we’re sure you will love it!